i have a serious addiction to advent calendars. christmas is my very favorite holiday and my birthday is christmas eve, so it is a happy season for me. more than that, christmas is a time where everyone is happy and focused on all the good things in life. people seem nicer in general and appreciative of life and loving the people in it. 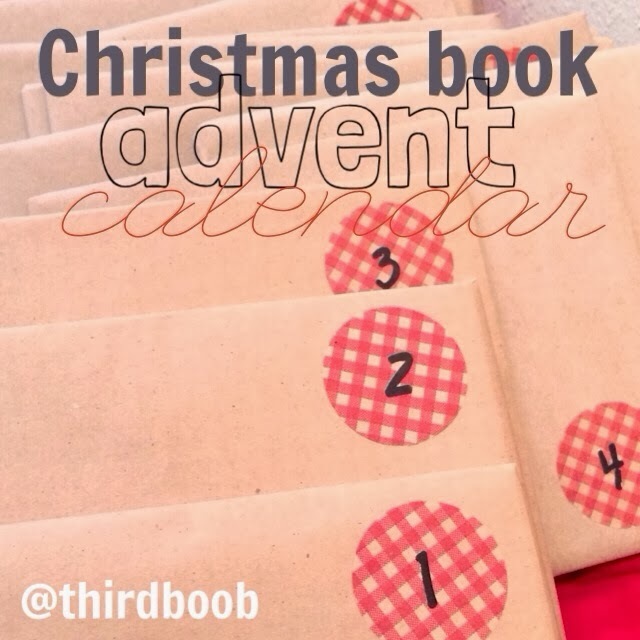 this year, i decided to take 24 kids christmas-related books and create an advent calendar to remember. any time i can use to create special memories with the two little men in my life, i will take it! with this advent calendar, i anticipate lots of cuddling on the couch with the littles reading the christmas classics daily. sounds heavenly to me! join me in starting this tradition for your family as well! •24 christmas/winter kids books (i took some classics that i had as a child and also included some i found at target with my kiddos favorite childhood characters (think dora, big bird and even mater). •vinyl number stickers (you can find them in the scrapbook section of your local craft store). 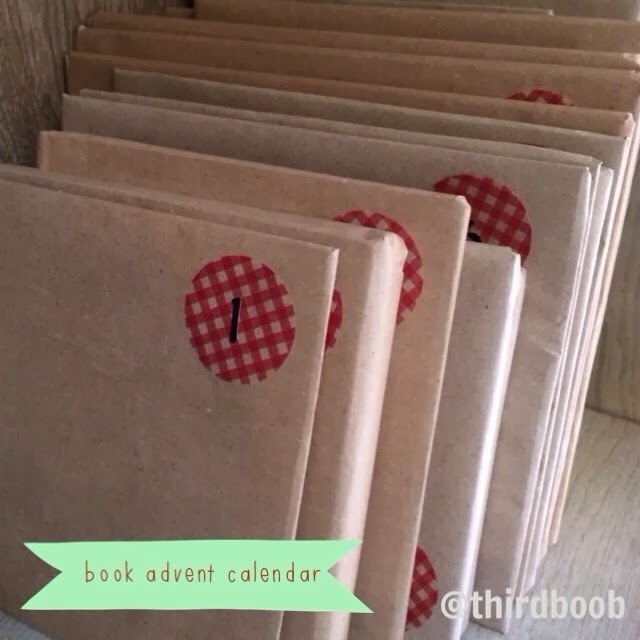 •simply, wrap each book up. •then, cut a circle (using the hold punch) of another color of paper. •using the glue stick, attach each circle to the wrapped package. •once dry, attached numbered, vinyl stickers to each book from 1-24.
this would be a fun tradition this would be to start with your own children or grandchildren, don't you think?